When it comes to eSports, I can’t believe that we’re here. But yes, there is a huge eSports revolution going on, and we’re not even scraping the surface of where the sport is growing. Big brands such as Coca-Cola, Monster Beverage, Intel, Taco Bell, and many others are dipping toes into the waters that could easily create strong waves. And if you’re a sports marketing brand, why wouldn’t you get involved? Twitch is bursting at the seams with content, and they’re attracting more viewers with every deal they make as seen with the launch of new production tools and Disney. You have major traditional sports team ownership groups becoming majority owners of teams as seen with Jerry Jones and John Goff buying compLexity Gaming. (Jones’s Frisco, TX ‘Sports City’ entities are pushing hard to create a home base for eSports.) NBA teams like the Milwaukee Bucks fielding, or for a better word ‘incubating’ 2K gaming franchises for the NBA 2K sports league. As you can well see, the boom is already here. Gaming companies are utilizing Twitch and other platforms to create unique at-home environments for tournaments. Companies like Beyond The Summit are capturing wide audiences during their event summits. 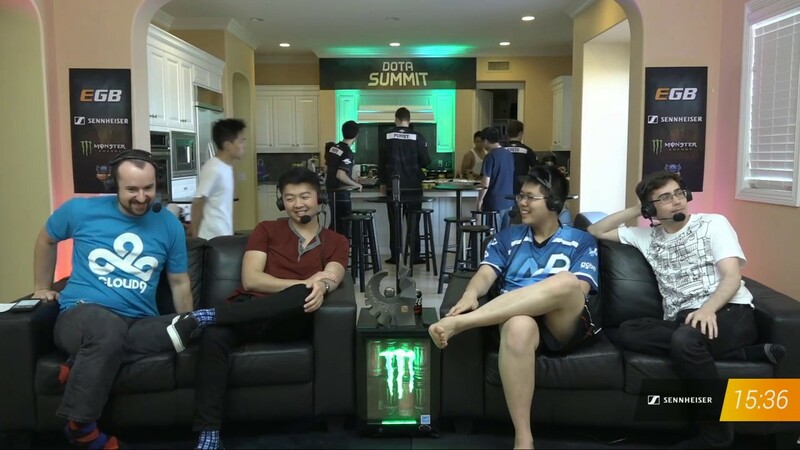 Beyond the Summit is counting peak worldwide viewership totals of up to 880K during their events such as the Smash Summit, DotA 8, and Counterstrike. Beyond The Summit not only broadcasts summits 24/7, but also they’re providing real-time analysis and creating snarky, fun, and witty videos that drive deeper engagement with their hard-core fans. The amazing part of their summit viewership is that audiences are averaging between 90-130 minutes of consumption time per day. Why is the big shift happening to eSports? The knee-jerk reaction is to say that the funding and big-time ownership is a big reason. Yet, there are so many factors that are moving the engine parts; platforms such as YouTube, Twitch, Twitter, and Reddit allow producers and developers to push out events and allow high viewership access, fans can now interact with each other through massive sized online communities that share gaming and eSports interests, and faster internet connection speeds have opened improved in-game viewing experiences. Developers like Valve are leveraging crowdfunding to support tournaments through prize pools for tournaments, summits, and to drive revenue back to smaller event companies themselves. The crowdfunding sources not only provide a fertile ground for smaller production companies to survive, but also they’re providing a hard-core grassroots system for players and teams to emerge. Better yet, the popularity of their games continue to boom. If you’re a sports marketing brand, the question should be how can I be a ‘first-mover’ into this new sports marketing realm? If you’re a brand waiting to develop develop brand equity and awareness among the ever-so fickle and emerging male audiences that seem to shift demographics by the week, you better jump soon. With these audiences growing fast, a brand that waits could be just another ‘poser’ waiting to get into a hard-core gaming audiences preferences. The eSports world is already rocking.